In a recruitment year that centred on stability in the Funds industry following the fallout from Brexit, the Irish Funds area has still managed to net a record level of €207 billion up until September 2017, according to Central Bank figures. Net sales across all fund types were €139 billion across 2016 and this year’s figures to date have already surpassed that. There was a lull in recruiting for most of 2016, as we awaited the outcome of Brexit, but this was replaced by a sense of stability during 2017. Moving into 2018, there is now a real sense of positivity in this market. For much of last year, there was a constant need within the Fund Accounting space for professionals with 2-5 years’ experience, particularly technically strong Hedge Fund Accountants. This has led to a slight rise in salaries for these fund professionals. As well as the Hedge Fund space, there has been an increase in fund accounting professionals who have Private Equity funds experience. A number of Fund Administration businesses in Dublin have been ramping up their PE offering over the course of the last year, none more so than Citco Fund Services. The company completed a €11m redevelopment in IFSC in 2017 to house its strategic center of excellence in finance and technology with the aim of building its Private Equity fund business. Due to tougher regulations being put in place, we have also seen an increase in trustee, regulatory and compliance professionals. There has also been a need for Investor Services professionals, but these have tended to be existing roles, so it has not meant growth in that area. Outside of Brexit-related news, a number of boutique fund administrators have received Fund Administration licenses and will be looking for continued growth in Dublin and new jobs as a result. This is a trend that has continued in the Fund Services industry in Ireland. In 2014, we saw BNP Paribas acquire Credit Suisse’s fund administration arm. The 3 most notable M&As in 2015 were the SS&C GlobeOp acquisition of Citi Alternative Investor Services, MUFG Investor Services acquiring UBS Global Asset Management’s Alternative Fund Services business and the Maitland acquisition of Phoenix Fund Services. This trend continued throughout 2017, with Apex Fund Services being the most active in this space. Firstly, it acquired Equinoxe Alternative Investment Services in May, followed by Deutsche Bank’s Alternative Fund Services Business in October. In the short term, it is still unclear what the outcome will be in terms of recruitment next year, but it will perhaps be positive in the long-term, based on what we have seen in the M&A space over the last 3 years. The Fund Services industry is widely expected to experience a post-Brexit jobs bounce. There is set to be a slow input of jobs instead of an immediate cash cow. There were significant investments in the funds sector during the first half of 2017, with over 15 global financial institutions announcing their intentions to set up or expand their operations in Ireland since the start of the year. JP Morgan is looking to increase their foothold in Dublin and the US bank has bought a landmark building that is capable of doubling its Ireland headcount to 1,000 staff. Bank of America Merrill Lynch has said it views the Irish capital as its default EU Centre, given that it has a banking license here and employs more than 600 people across two locations, while Northern Trust revealed plans in June to create an additional 400 new jobs in Limerick. The third-party management company is a concept that originated from UCITS. It has taken its evolutionary step with AIFMD. The traditional model has to evolve from focusing on regulatory compliance to emphasising the asset class and actual operations. Third-party ­– or ‘rented’ ­– ManCos are used by fund firms that need to establish a material presence in EU jurisdictions in order to meet the regulatory governance requirements for traditional and alternative funds. The ManCo industry is readying itself for an expected increase in demand from UK-based asset managers for 2018, who will require access to the EU market after the UK completes its departure. Roughly comparable data in Ireland shows there are 149 fully authorised alternative investment fund managers (AIFMs). A total of 554 AIFMs are operating in Ireland on a cross-border basis and 83 UCITS ManCos. During the past 2 years, Ireland has seen a lot of activity in the ManCo space. For instance, KB Associates, Bridge Consulting, DMS Offshore, GoodBody and Carne all have continued to grow, as well as FundRock, a new entrant to the market. The global investment banks in Dublin are also in the process of setting up ManCos as they see it as a growth area. Judging from our experiences this year, counter offers are very prevalent. Employers are now taking greater measures to retain staff as more opportunities than ever are available. As we near the end of Q1 the outlook for the remainder of 2018 is one of positivity. With a number of new players set to join the market from Brexit across Funds, there will be more opportunities available to candidates. In addition, the number of boutique fund administrators who have received Fund Administration licenses can only be of benefit to candidates. Our Fund Services recruitment team are consistently ready and prepared to assist with hiring requirements for small and large projects. To view up to date salary trends for 2018 please see full survey comparison by sector here. For further information please contact Jamie O’Riordan, +353 1 661 0444 or email joriordan@lincoln.ie. Jamie is a Senior Consultant in the Financial Services division at Lincoln Ireland. 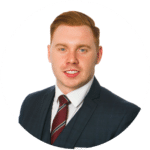 Jamie has an in-depth understanding of the complex Financial Services market in Ireland, with has a particular focus on Fund Management, where he maintains a strong network of contacts. His team share a high performance work ethic with a real desire to get to the best active and passive talent in the market place for their clients and the best opportunities to meet the needs of their candidates. Jamie holds a Masters’ degree from University College Cork and an Honours Degree in Business Administration from Cork Institute of Technology.